I'm trying to convert my photograph to CMYK for printing, I have done this many times with no problem, adding a little contrast and saturation to "perk" them back up. However with this photo it has completely ruined the colours and the greens look completely different, trying to add saturation and tone back in seems to make them worse, any help appreciated! You can tell the difference a lot better at full res! The hardest thing for CMYK to produce is bright greens. Why? Well CMYK is an subtractive space. The more color you add, the darker it gets. 0, 0, 0, 0 is white while 0, 0, 0, 100 is true black and anything beyond that is rich black (often 50, 50, 50, 100 for example). Now how do we make green? We must combine Yellow and Cyan. As you combine these though, its also getting darker. You'll find the brightest Greens possible as a result are by getting 100 Yellow and then adjusting the Cyan to your taste. If you watch as you adjust you'll notice the Red on the RGB values changes much more rapidly than the Cyan on the CMYK values, this is because there's simply more possibilities in the RGB gamut. Your best bet is going to be turning on CMYK Preview and then add contrast within the Green Channel so there's still some differential. 1) The only moment when you "need" to convert any photo to CMYK is when you use it on a magazine or flyer that its going to be printed on an offset machine, silk print, etc. (comercial print). 2) If you are printing it in your home, a photographic bureau, on a lasser printer service, a digital poster, etc., it is better if you leave it as RGB. The basic point is that you NEED to know why you are converting it, what profiles you need, what system are you using, what paper, ink absorption, etc. If you only want a bright happy print, let the provider and internal conversions of the printer+system do the calculations for you. 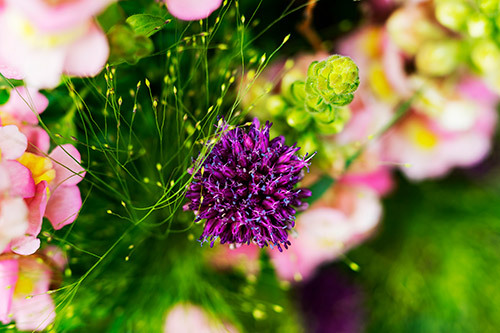 Photoshop is simulating the change of colours in specific conditions. which will change. But you think they are not as "happy" as you want because you are comparing them wrongly on screen. In Photoshop you can do command L and adjust the levels for specific colours (increase the magenta a bit perhaps). That's the best I can do... Hope it helps! Not the answer you're looking for? Browse other questions tagged print-design color-conversion color-reproduction photography or ask your own question. 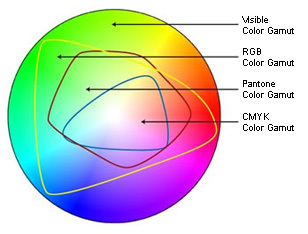 What is the difference between RGB and CMYK colours? Can it be worth to leave documents as RGB for printing with regular office printers?